Create an online travel booking app like Klook for your travel business. 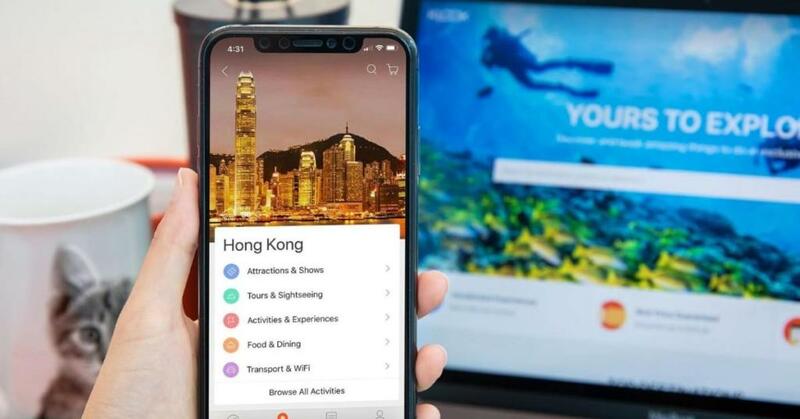 This blog should interest the travel tech startups and entrepreneurs who are interested to build an online travel booking app and are looking to provide their customers with amazing travel experience. 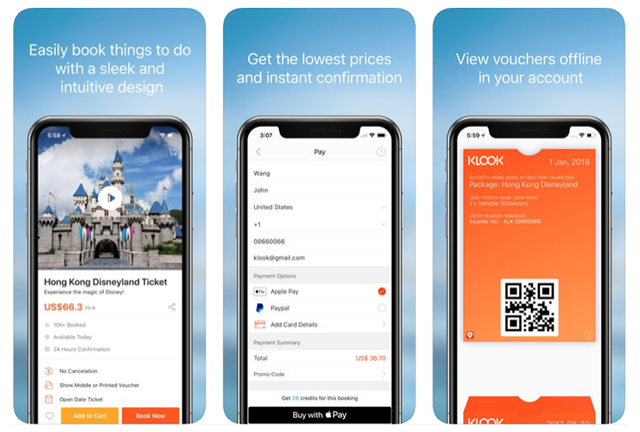 We have covered the unique features of Klook app that these startups can consider for their travel booking app development. Things are becoming easier and quicker- thanks to technology. Tourism is also not left behind when we talk about embracing technology. People are looking for apps that allow them to book their itinerary at a button’s click. The travel startups are accepting the technological trends and want to present their customers the best services and easy way of travel. They even get to reach a larger audience by going online. These tech-enabled travel and tourism companies offer booking flights, planning trips and even recommendations of travel sites. Let’s check out the recent trends in the travel industry. 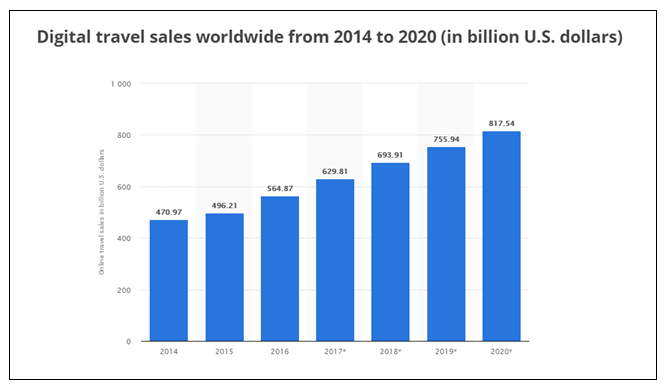 Here is a graph from statista.com that shows the increase in digital travel sales across the world up to the year 2020. 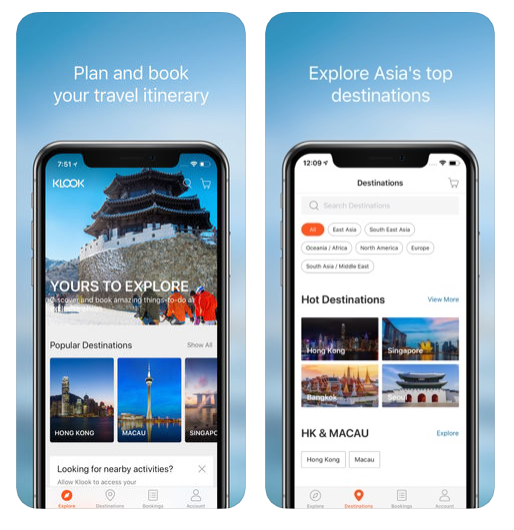 Klook app is basically a Hong Kong-based travel activity booking platform. It is said to be the one-stop shop for booking exciting travel experiences. This platform is accessible through a website as well as the mobile app. The app allows its users and travelers to discover and book tickets for awesome experiences. Klook has launched activities in most popular destinations in Asia and is expanding slowly to the rest of the world. Once you have booked your flight and hotel, there are endless options shown to you about the things that you can do at a destination. The Klook app facilitates a booking system that allows people to plan for their journeys beforehand so that they know where to start when they arrive at a destination. Klook is the abbreviation of “keep looking”. It was launched in September 2014 by Eric Gnock Fah, Ethan Lin, and Bernie Xiong. They were the three wander lusters and had an absolutely impressive domain experience. Before entering the world of business, Gnock Fah was an analyst in consumer retail and China-focused public equities, Lin was experienced in investment banking, hospitality, and real estate sectors. The technical co-founder, Xiong is seasoned in the mobile app development for the chatbot. 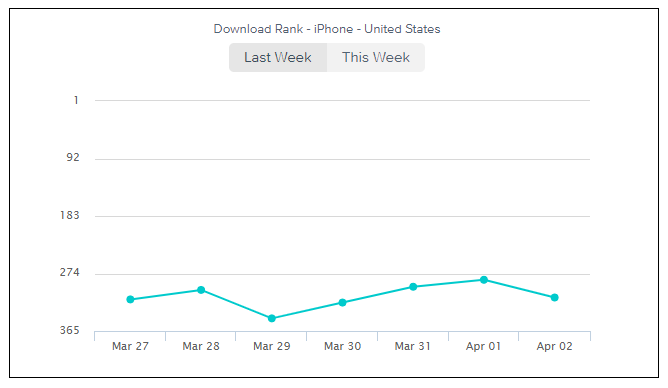 Here is the app ranking graph of the Klook app. The most peculiar feature of this travel booking app is the travel itinerary. It is a unique feature which lets the travelers schedule their itinerary and also allows them to schedule the events related to their travel. If you consider including this feature in your online travel booking app, you likely to attract more travelers than any other app and there are chances that your app might rank among the best traveler booking apps, as the travelers will enjoy browsing about the destinations of their visit. 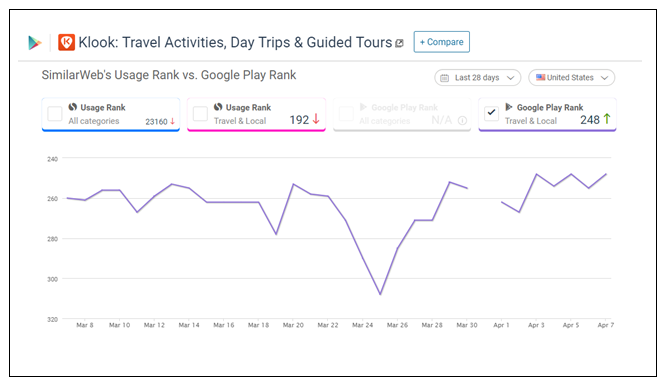 This feature can help your travelers to explore the world’s attractive destinations and then plan their travel accordingly. So, this feature is supposed to be the heart of your app. You need to choose mobile development carefully in order to build an online travel booking app as per your requirements. The choice of development company plays a great role in the success of your travel booking app. The main feature of the online travel booking app is booking tickets. You need to provide a smooth ticket booking window for your app. It should be accessible by users of any age group with the same ease. The travel booking window should take in the inputs such as the traveler’s name and identity information and store it for the next use so that the traveler doesn’t need to enter the same information every time when he comes back for booking a ticket. The travel booking app should display the availability of tickets and room(in case of hotels) with the complete figure of the price that is meant to be paid including taxes. This information should be displayed as soon as the user enters the dates of travel and the number of travelers. Also, the first feature that explores destinations should work in sync with the destination entered by the user. In case of booking hotels, the user should be able to enter their choices for the rooms such as normal, deluxe, with or without AC, with a queen size/king size bed and even with or without breakfast. This will help in providing the user with the clarity of services that are made available to them in the displayed prices. With the world becoming a global village, it is important for you to localize your travel booking app to let your users use it with their own convenience. The in-app translator should be provided in order to let the users understand the information provided in the app regarding various destinations in their own language. Nothing sounds better than reading things in the language that you actually understand. The in-app translator enables the users to enjoy the information and keeps them engaged to your app. Thus, they will consider choosing any other app over yours. Including a chatbot to help your users 24/7 with instant support is a great idea. The users are most relaxed when they are sure of getting help anytime they are stuck with something. The AI technology has made great progress and now human-like chatbots are available to provide your users with consistent excellent experience. Also, you can use the chatbots to make the users listen to the information available regarding different destinations instead of reading. You can even save their efforts for reading the whole paragraphs with the voice over technology and read them the things instead, just like a story. At coruscate, we are experienced in developing travel booking apps and are proud to deliver over 50+ such as hooper travel booking app, flight booking app, and other such on demand travel apps successfully to all our clients. As a travel tech startup, you might have ideas that you are not really sure about or you might want to develop an app that kickstarts your travel business. We can help you validate your ideas and give you in-depth information about the scope and features that you can include according to your unique business. Connect with us through the contact us form and allow us to help you rank in the topmost travel businesses.